You need a knife often enough to have a nice one. After all, all those boxes from your online shopping escapades don’t open themselves, do they? Plus, this one is small enough you could tuck it into your pocket or bag, just in case you find yourself walking alone at night and the shadows are just a bit too dark for your liking. A little light glinting off of a hand-made, high carbon “Ao-hagane” blue steel blade might just be enough to knock some sense into anyone dumb enough to mess with you*. 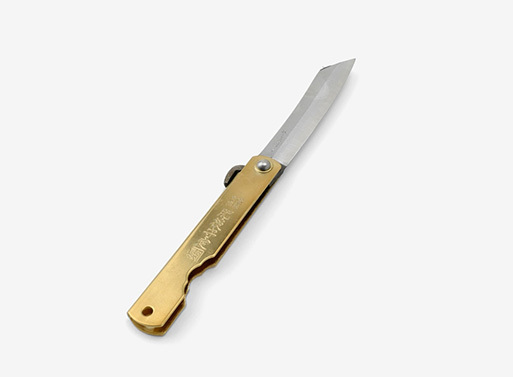 Also available in a larger size: Folding Knife, Large, $85.00. *A little self-defense training wouldn’t hurt, of course.